People who do not use Facebook fall into three broad categories. The first group is completely indifferent to it, the second finds it mildly irritating and the third dislikes it intensely. 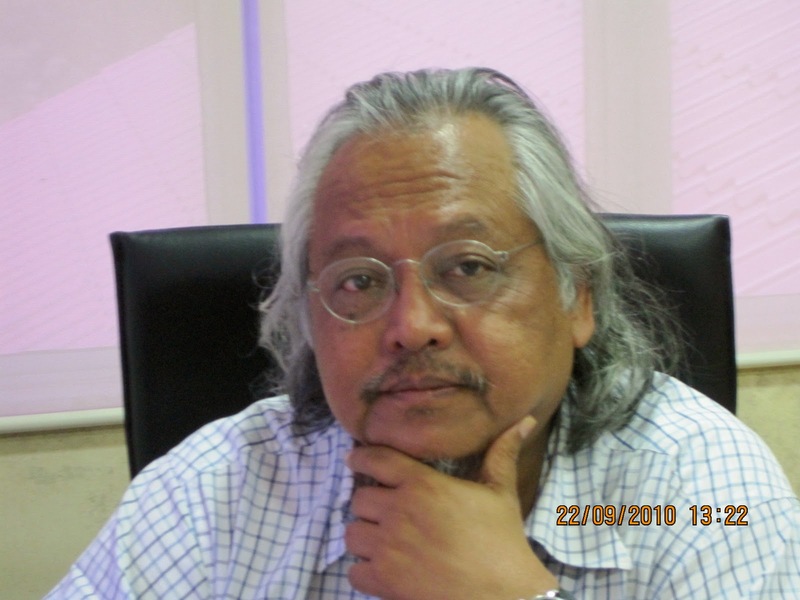 Malaysia's prominent sociologist Professor Shamsul Amri Baharuddin is of the last type. I made the mistake of asking Shamsul, who is director of the Institute of Ethnic Studies at Universiti Kebangsaan Malaysia, if he was on Facebook, the social network which was hatched up in the dormitories of Harvard six years ago. "I have a face and I keep thousands of books. Why do I need Facebook?" How do you react to that reply? I didn't. I meekly invited him to elaborate on his reasons. "Facebook will take away my soul and I won't allow that to happen because I am a believer," says Shamsul fiercely, who launched into a tirade of accusations against Facebook. Ninety per cent of the things you read on Facebook are either petty, bitter, rude or offensive. "I refuse to read something that I may not want to know. I have the right to read what I want," says Shamsul, adding that he does not want the social network to take away that right from him. The very private Shamsul is unwilling to open up to strangers. "Only Allah knows about me; why should I elevate Facebook to the status of Allah?" There are now 500 million Facebook users and the social network is "adding 50 million new members each month". LOL ... that's the Professor for you! There is also the categorie of security aware people who are seeing facebook like the monstrous data collecting and selling compagnie that it is.They are the ones that or laughing out loud with the fools who put all their personal info for free to use (and sell with huge profit )without thinking twice. Not convinced?The icy logic of capitalism is that when huge sums of money or made there is a reason data (your data) is money and when you add geotagging (why facebook did it take you so long...your conscience?) the landscape is definite changing...they will find you in your room and talk to you smoothly like Tolkien's Gollum.So do not wear the ring in the end it will betray!! Apart from deliberate data collecting there is also the accidental one like we have seen a few where due to (almost unbelieveble neglect) software changes have exposed peoples "only for friends" data to the world. You can be add to a group you do not like without your approval! The Facebook Help Center answers the question "Can I Prevent People From Adding Me to a New Group?" with the following: "The functionality of approving a group membership is not available. I enjoy reading the reactions of Anonymous@Campakbatusuruktangan and Pannekoek @Lempengsagubergula to my position vis-a-vis Facebook. I must admit that even how much I dislike it my images still appear numerous times in Facebook because my friends, students and fellow researchers took my photos and posted them on their Facebook account. I love my friends, but I loathe them when they do this. However, some kind souls (not Faezah) have sent some of those photos to me. Thus far, none of them are incriminating enough or worthy of THE NEWS OF THE WORLD, London. So, I am still safe? Without doubt, Facebook is slowly turning into a gigantic cyber garbage bin of information, thank god it doesn't emit smell! As for now, I have very minimal involvement in Facebook. I guess you need to be seriously involved when there is a need. I feel ambivalent about Facebook. I guess I would never totally embrace it.